Apple’s new iPhone X is slated for release on November 3. At a starting price of $999, the handset is redefining the flagship category but the high cost of entry isn’t deterring everyone. Prospective iPhone X owners are already lining up outside Apple retail stores around the world (and some have already been waiting for days). At Apple’s Palo Alto store, for example, there were already nine people in line as of yesterday. 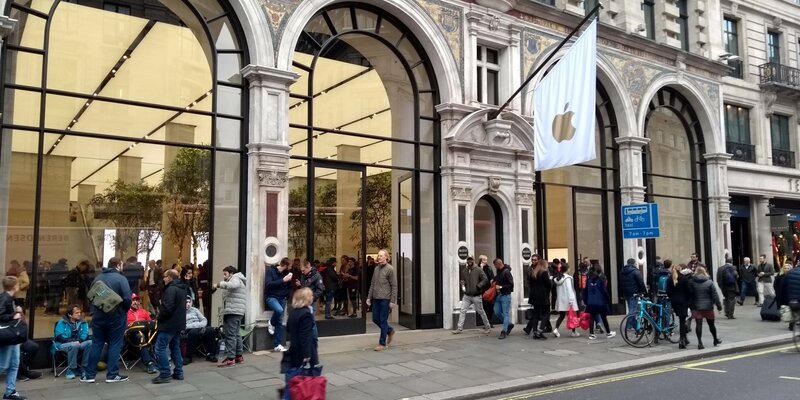 Apple previously stated that it’ll have handsets available for walk-in customers on launch day. Given the seemingly high demand for the phone and countless rumors of production delays, however, the iPhone X will likely be in short supply. Pre-orders, if you recall, sold out within minutes. Shipping dates for the iPhone X on Apple’s website have slipped to 5-6 weeks as of writing. Those hoping to score an iPhone X on launch day can also check with local wireless carrier stores and retailers like Best Buy, Walmart and Target. Third-party sites like eBay are a popular choice as well although be prepared to pay a premium for not having to wait in line. If you’re still on the fence, I’d recommend checking out our recent review round-up for feedback on the device from early reviewers. Most praised the phone’s OLED display and its camera setup but were a bit skeptical about Face ID.